Now available for download, Episode 82! 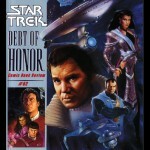 As always, this podcasts’ mission has been to (hopefully) provide entertaining and witty comments on every officially licensed Star Trek comic ever published. 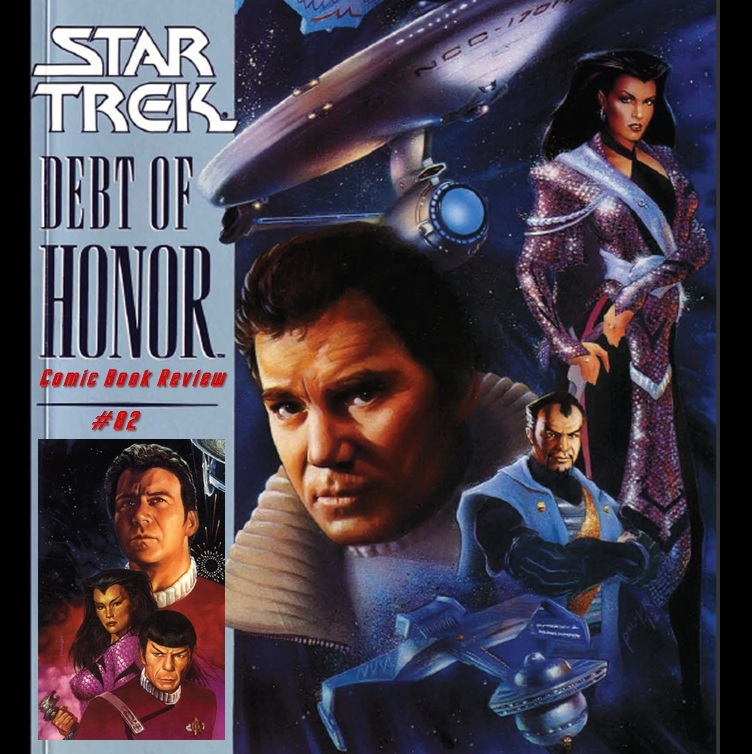 This week the team tackled the graphic novel “Debt of Honor” in episode 82. This task was two great for the two of them, so they enlisted the help of Bryan (you may recall him from Episode 50). With a larger than normal number of pages and three different points of view, be prepared for a long and wild ride. Next week the team will return to the Star Trek v2 monthly issues of #34~36. Please be on the lookout for the month long “Summer Movie Spectacular” series that will run from episode 87 to 90. 1. Carolyn Palmaras did not go with Apollo at the end of “Who Mourns For Adonis.” Kirk ordered her to shun him and Apollo got angry at her. Once his power-temple was destroyed he faded into the ether with the other gods. Terrell: “Marooned on Ceti Alpha V.